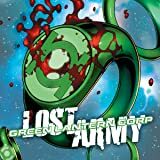 Spinning out of the epic GREEN LANTERN: LOST ARMY! 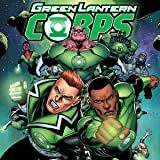 As the universe around them reaches entropy, the Green Lantern Corps must find a way home! 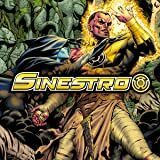 Along the way, they'll face dying gods, worlds torn asunder and a desperate group of survivors whose only hope is these cosmic heroes. 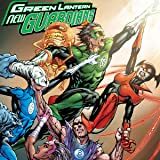 From the all-star creative team of writer Tom Taylor (INJUSTICE: GOD AMONG US, EARTH 2) and artist Ethan Van Sciver (GREEN LANTERN) comes the next chapter in the epic saga of the Green Lantern Corps. 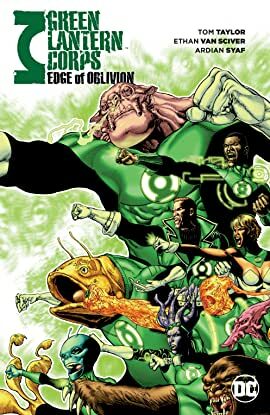 And this is one that will shake the Corps to their core! 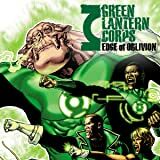 Collects GREEN LANTERN CORPS: EDGE OF OBLIVION #1-6.